Please keep in mind the dress and behavior expectations for the Homecoming Dance. A. PGHS students and Guests must arrive with an actual school/picture ID and receipt at the door within the first 90 minutes of the dance. Guests must enter the dance with their PGHS sponsor. B. Students who leave the dance will not be re-admitted for any reason. C. Any participant found in unauthorized areas will be removed from the dance. PGHS students will be subject to disciplinary action. **PGHS students and/or guests who are removed from a dance for any violation of the California Education Codes or dance policies set forth in the PGHS Dance Contract will not be permitted into any PGHS sponsored school dance for the remainder of the school year. PGHS students are responsible for the behavior of their invited guests. Refunds are not provided to students removed from a dance. Shirts [with collars are suggested] must remain on throughout the dance. All undergarments are to be covered so they are not visible. See-through fabrics must have a backing which covers the skin from chest to mid-thigh. Cutouts exposing midriff are prohibited. Exposed cleavage is to be minimal. Back of dress may not be lower than the waist. Hemline and/or slits on dresses are to be mid-thigh or lower. 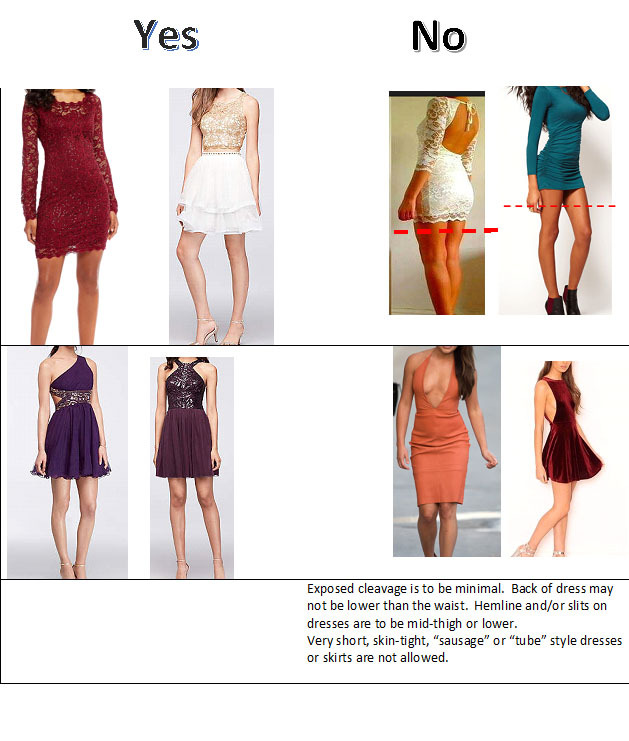 Very short, skin-tight, “sausage” or “tube” style dresses or skirts are not allowed. 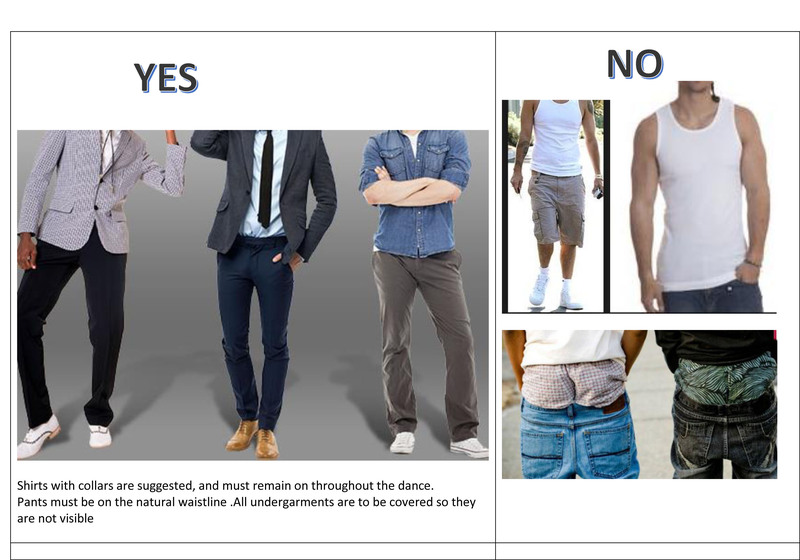 If the dress code is not followed, students will: (a) not be permitted into the dance, or (b) be removed**. If you have any questions or concerns about your clothing, please contact PGHS administration (916-686-0237) at least 24 hours before the dance. All dancers must remain vertical with feet on the ground. Refrain from rubbing or touching any private body parts, yours or others. Refrain from break dancing and sexually suggestive movements such as grinding, freaking, mashing, and/or lap dancing. **PGHS students and/or guests who are removed from a dance for any violation of the California Education Codes or dance policies set forth in the PGHS Dance Contract will not be permitted into any PGHS sponsored school dance for the remainder of the school year. Refunds are not provided to students removed from a dance.